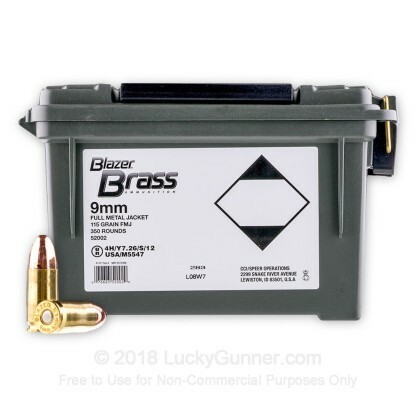 Good price on ammo. In my experience it was very dirty ammo. Could only shoot about 80 rounds then it would jam constantly. Great product for the price, not one problem so far. Will be back for more! Most impressed with service, delivery, and follow up. Keep up the good work. Great ammo. Used with my Taurus PT111G2 and ran thru 1000 rds. I will definitely buy Blazer again. For the price, these ammo looks great. Brass casing and smooth . 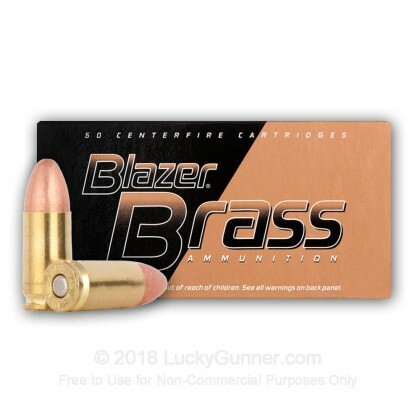 Blazer Brass 9mm 115 FMJ Good Stuff? Yup. 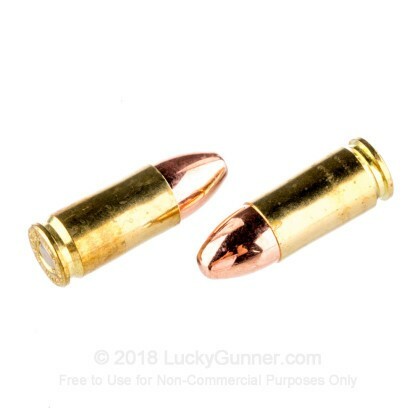 For ammo at this price..Good Stuff.. Had read a review about electroplate copper jacket separation..
At the range, shot at 20 - 10 - 5 yards, from cz 75 p01.. perfect .. no malfunctions.. Think I will buy more? Yup. I qualified with this ammo for my concealed carry license. Scored 100%. No issues of any kind. 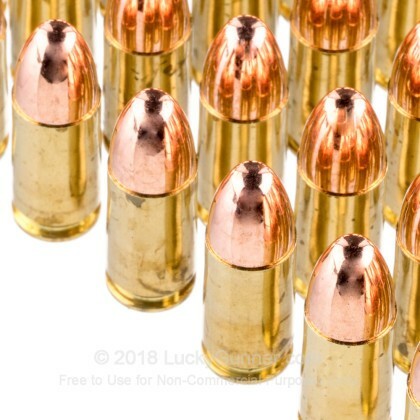 Don't skimp on ammo because it is cheaper to shoot the cheap stuff. If you do you are gambling with your own life if you use your gun for protecting yourself or your own family. Buy American made ammo it is well worth the few pennies more when you think about it. Not one complaint. Shoots awesome from my Baretta 9mm. Not only was the price exceptional, but my delivery arrived in only 3 days. Will remain Lucky Gunner customer from now on. I'm a new/recent handgun owner.Fired 300rds out of the 350 at the range, with no hiccups no jams with my sig sauer p239. Not so dirty after my cleaning session. I honestly bought this because it cane in a Plano can. Another great deal from LG! 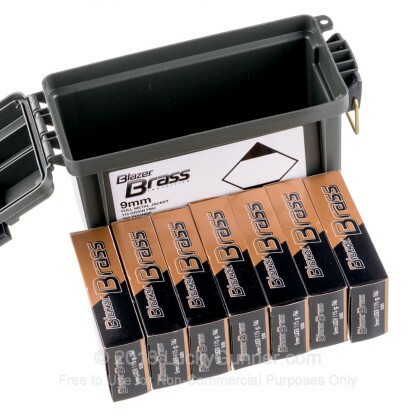 Good practice ammo for my Glock 17 without breaking the bank. Gotta love that Live Inventory. Thanks again LG. Great product.get it faster then I though,very good service. works as advertised!! got a good gun? good ammo makes it work! no complaints here. 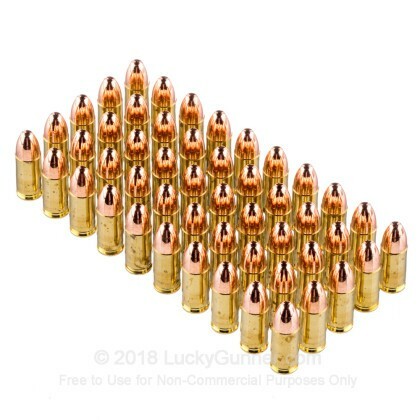 one of few companies that actually has ammo when you order it. Excellent product and price. Fired 350 rounds in my CZ75 PCR Compact. Not a glitch. Nice work, LuckyGunner! " I'll be back". Excellent ammo. Good price. And always fast delivery. Used in SW Shield, Karh CM 9, and Springfield XDM .... Great practice ammo. Great Product, would purchase again! Great product, fired 200 rounds in a S&W 9mm Shield and it was flawless. It had a great MOA and packaged very nice.